SMALL BUSINESS FEDERAL GOVERNMENT CONTRACTING ("Smalltofeds"): New Federal Fiscal Year - Have You Managed Contract Funding Risk? New Federal Fiscal Year - Have You Managed Contract Funding Risk? As the federal fiscal year draws to a close and the new year opens on 1 October, an astute contractor will have examined the funding status of all government contracts for risk. Limitation of funds and funding exposure must be a vital topic for every government contractor. Many federal contracts are funded incrementally, usually based on the government fiscal year that runs from 1 October to 30 September. Although the government may negotiate dollar price ceilings for cost plus and time and materials contracts or firm, fixed total price arrangements, the contracts themselves may be incrementally funded, particularly if they extend over multiple government fiscal years. A contract may contain negotiated prices or a cost ceiling but also specify an incremental funding value. The contractor is required to inform the government when actual costs incurred plus obligations to suppliers or payroll on a specific contract reach certain thresholds of the current incremental funding specified in the contract (usually 80%). The government is then obligated to further fund the contract. In the event the contract is not funded further, the contractor has the right to stop work before he exceeds the incremental funding. Some contractors choose to operate on "risk," continuing to perform on a contract while exceeding the incremental funding in booked cost and obligations. de-obligate funding on contracts, which can effectively bring them to a halt. Stop work orders are serious matters and require special handling to comply with government direction and manage the associated financial risk. Upon receipt of a stop work order you have no guarantee of payment for any transaction date-stamped in your accounting system after the date of the stop work order (or the commencement date of a stop work order specified in a Contracting Officer's Letter). Applicable charge numbers in the accounting system must be closed until the stop work order is lifted and any effected suppliers and subcontractors must be notified to do the same. To the degree the government has made progress payments or has any other form of payment invested in a physical product to date it has ownership rights. If that is the case, treat the physical material work-in-process as government owned, store it as such without performing any more effort on it and await further disposition. To the degree the government has not paid anything on the contract or delivery order they have no ownership rights to the physical product and you are free to complete it and sell it to another customer (commercial or government that has not stopped work). If the government recommences the order, quote a new price and delivery from ground zero. At the bottom line a stop work is blunt and to the point. Treat it as if you will never hear from this customer again to manage the risk. To the degree you do hear from the Contracting Officer again and he or she has the funding to recommence work, be prepared to submit a proposal for what it will take to start the effort and a realistic delivery schedule to complete it, but do not build any retroactive costs incurred during the stop work period into your logic and expect to bill them; they may not come to payment fruition. Continuing effort on a contract after receipt of a stop work is high risk. Astutely managing your options is a far better approach. What is a Government Contract Stop Work Order? Having a limitation of funds and funding exposure process in the company should be a standard part of doing business. 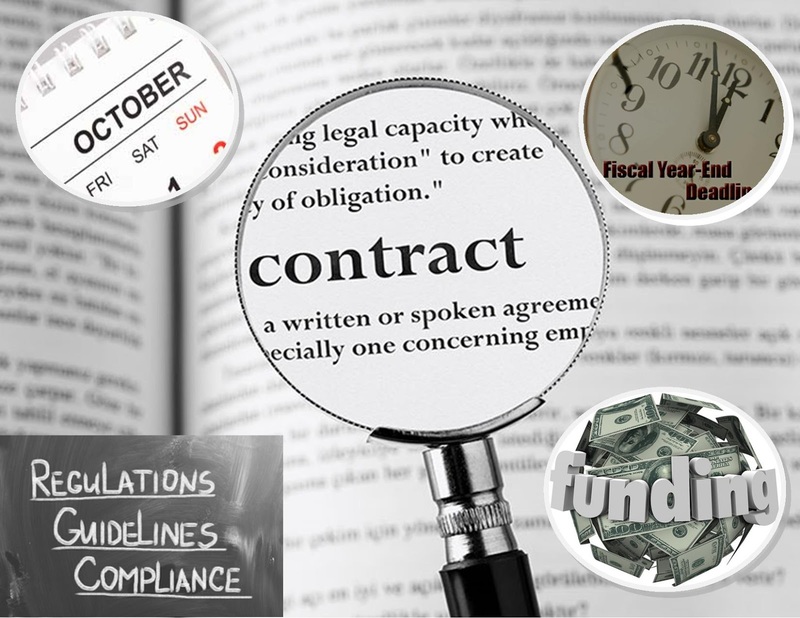 A, shrinking, remaining funding level condition on incrementally funded contracts should trigger a risk analysis and government notification process throughout the year. The federal fiscal year-end brings an additional element of risk to the process with the annual budgeting, approval and appropriations process required by law.